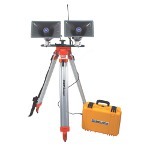 Outdoor sporting events and public gatherings require coordination before, during, and after the event. 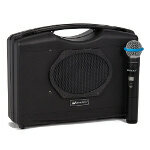 Portable PA systems for outdoor environments enable you to amplify your voice and music across a wide area. 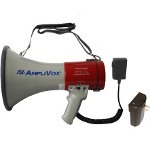 Easily be heard over the crowd, and successfully communicate to a large number of people. 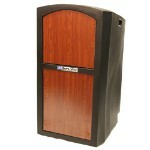 Weather resistant for outdoor use, the rugged and durable outdoor PA systems are designed to operate in difficult weather conditions and are resilient to the extreme heat or cold. 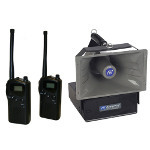 Made lightweight without any compromise to the quality of sound, be ready for any emergency situation and safely manage the crowd. An outdoor sound system can assist in safely managing a large crowd and allows your message to be heard across a wide area. 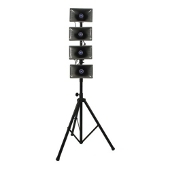 Lightweight vertical 4‑horn line array loudspeaker system, perfect for large outdoor venues over broad areas & loud environments. 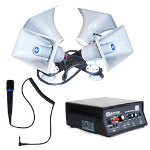 Horizontally aligned horn broadcasts highly intelligible voice announcements over large wide areas. 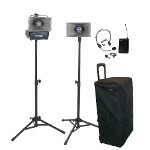 Rapidly deployable PA System for disaster relief teams. Electronics are housed in a rugged weatherproof carrying case. Take your message on the road. 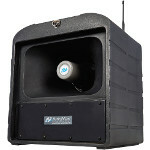 This horn PA system mounts to nearly any vehicle, weather resistant with a half mile range. 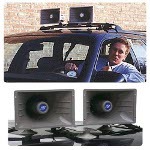 Universal 4 horn speaker module mounts to any vehicle and easily adjusts at 450 increments for front side / rear projection. 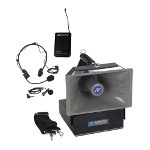 Highly intelligible, lightweight horn speaker designed for use in public address or paging applications indoors and out. Indoor / Outdoor Weatherproof Speaker with adjustable power taps on a swivel mount bracket for versatile wall or pole mounting. Durable hard shell plastic that holds up under tough use, indoors and out. Elegant sculpted profile radius corners and swirls.